Here's a good way to build your Irish repertoire in a group setting and have some fun while doing it. 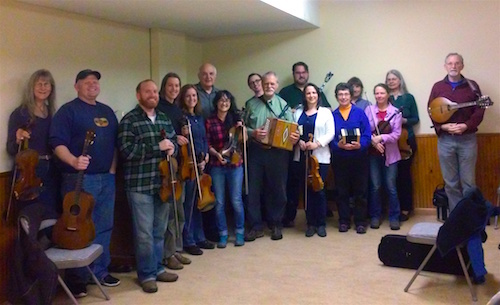 This class learns one traditional Irish tune per week, puts them in medleys and plays them together a lot, so by the end everyone has at least eight good session tunes in common... jigs, reels, hornpipes, etc. The goals of the class are to build a repertoire of Irish tunes and to improve at learning by ear. The traditional tunes are taught by ear, so bring recording devices (no video recording please). The tunes will be posted on the class web page with links to further listening. $140 for all eight classes, or half price if you're taking weekly private lessons with me. If you'd like to take the class but money is tight, please don't hesitate to let me know... I really want everyone who's interested in Irish music to be able to take these classes. Please send me an email to register or for more information. You can pay via PayPal or at the first class session by check. Thanks!